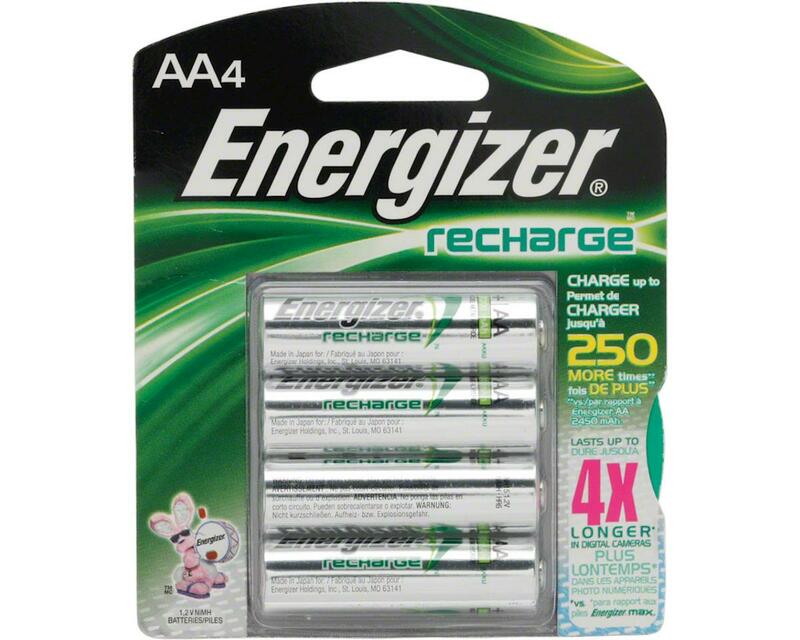 This is a pack of four Energizer E² 2450mAh AA Rechargeable Batteries. These batteries are a excellent choice for any application requiring a AA size cell. Energizer Rechargeable batteries are highly recommended for high-drain or frequently-used devices- ones that you use more than once a week- such as digital cameras, portable audio players, two-way radios, hand held games, and GPS equipment. They’re also recommended for toys, infant devices, and PDA’s. Energizer Rechargeable Batteries- Reusable power you can depend on! For best results, pair your Energizer Rechargeable batteries with Energizer chargers. *Based on 490mA (0.2C rate) continuous discharge to 1.0 volts. NOTE: Charging at temperatures above 104° and discharging at temperatures above 122° will significantly impact battery cycle life.